Griswold, Emerson, Elk Horn, Portsmouth and Corley are closed for the season. Please call with questions. Free Price Later on corn available @ Scoular Hancock. Please contact a merchant to utilize this opportunity. Target price in mind? We know you're busy - let us watch the markets for you. Contact us today to start working an offer! We are currently contracting NGMO yellow soybeans. Please call the Hancock office for more information. Your account information at your fingertips! Scoular is pleased to provide you access to our MyScoular customer transaction website. This website allows you to view your contracts, pricing, delivery dates, unshipped balances, payments, and more. Click here to learn more. Don't have an account? Call your local Scoular office to set up your MyScoular customer transaction website account. About Our Cash Bids: Because posted bids update several times a day, be sure to call in for the latest information. To sign up to receive cash bids via text, call us or click here . A 125-year old employee-owned company with more than $4 billion in sales, Scoular’s 100+ independent business units provide diverse supply chain solutions for end-users and suppliers of grain, feed ingredients, and food ingredients around the globe. From 120 strategic offices, grain elevators, and processing facilities in North America, South America, and Asia, our 1000+ employees are engaged in the business of buying, selling, storing, handling, and processing grain and ingredients as well as managing transportation and logistics worldwide. Scoular has a long history in the business of agriculture. The company was founded in 1892 by Scottish immigrant, George Scoular, and remained under the ownership of his family until 1967. 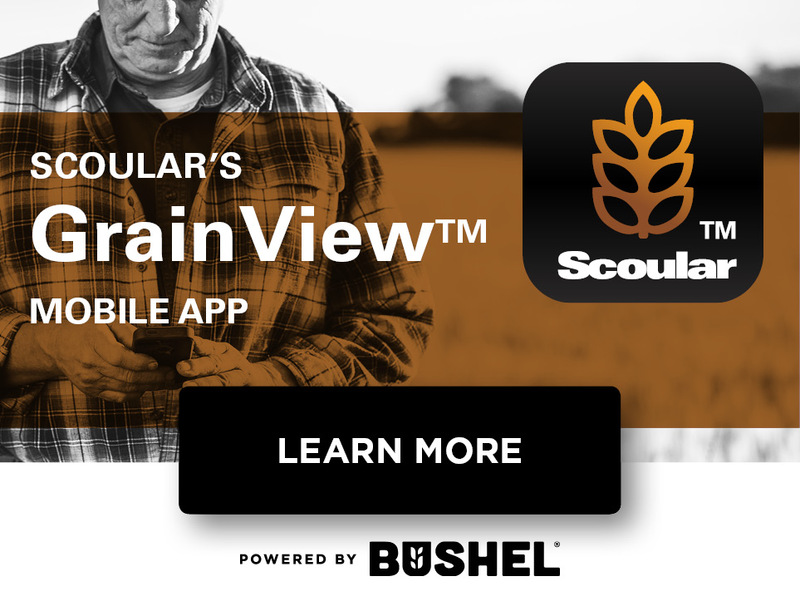 It was at that time that the company was acquired by a group of grain industry executives led by Marshall Faith, who presently serves as Scoular’s Vice Chairman of the Board. Throughout its history, Scoular has been a company that derives its revenues from a balanced portfolio of merchandising and facility-based businesses with a wide array of customers, products, and geographies.